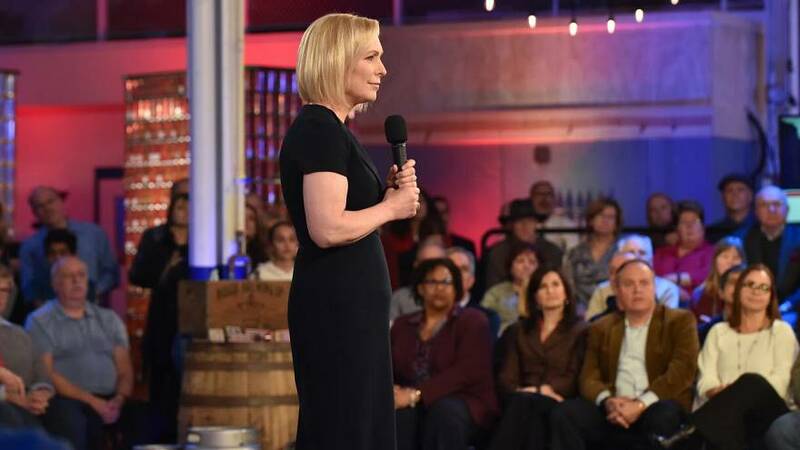 Democratic Sen. Kirsten Gillibrand said Monday that drug manufacturers should be prosecuted for their role in the opioid crisis, and that if she's elected president, she'll attempt to hold companies like Purdue Pharma responsible. "What we have to do is take on the drug manufacturers, who purposefully made these drugs stronger more addictive and now that we have the documents we know they did it because they wanted record sales," the 2020 hopeful said during an All In 2020 Town Hall with Chris Hayes, which will air in full on Monday evening on MSNBC. "They should be prosecuted." The Sackler family, which owns Purdue Pharma, began manufacturing and aggressively marketing opioid painkillers including OxyContin in the 1990s. They are widely credited with helping to ignite the opioid epidemic. Gillibrand argued the family used the drug as a moneymaker at the expense of the American public. Watch the "All In 2020 Town Hall" with Chris Hayes at 8 p.m. ET. "What we know from the evidence of what's been gleaned from what the Sackler family did and how they looked at drugs as a way to make billions of dollars and making sure the dosage was higher so it was more addictive," the New York senator said in a clip of the town hall released on Monday. "The way they dampened down any investigation, any transparency and accountability, that is what we have to take on." In January, Massachusetts' attorney generalalleged in court filings that members of the Sackler familydirected a years-long effort to mislead doctors and patients about the dangers of opioid painkillers, blame users who became addicted and up dosages to increase profitability. Over the last 20 years, more than 200,000 people have died from overdoses related to prescription opioids, according to the Centers for Disease Control and Prevention. Gillibrand spoke with Hayes from Auburn Hills, Michigan, where she is campaigning on her first trip after officially announcing her bid for the Democratic presidential nomination this weekend. The New York Democrat announced an exploratory committee in January.